You may easily find that there are black steel pipe all around you. They are used everywhere in many different ways. 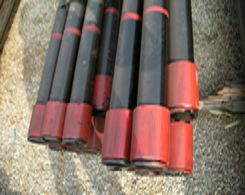 These hollow tubes can be used for transporting oil, water, gas, food and many kinds of substances. They may be buried in the ground, put within the walls or used in industrial structure. Their countless usages and benefits make them a veritable versatile piping! 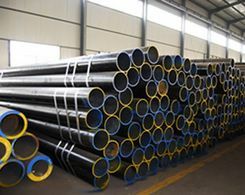 Black steel pipe can be applied for many purposes. The special properties of black steel pipe make this material reliable for a variety of usages. Look around and you may see them everywhere. You can see them used for billboard in highway and for "Bollards" or "Bumper Posts" in parking lots. Even in some restaurant or shops that are used for some signs which are fixed on a black steel pipe. High buildings and large mansions also use black steel pipes for foundation because of their solid structure. In addition to these, they are used for pipeline transportation. For example: petroleum, natural gas, water. These are the traditional usages of black steel pipes. Drainage is another example which is made using steel piping. They offer many benefits that contribute to its widespread use. Many people believe that even many years later, steel piping will not lose its strength and keep wide spreading. Because of black steel pipe's versatility in buildings and other construction purposes, it is likely that they will continue to be popular. New techniques are coming up to meet different requirements and standard. There are many different types of black steel pipe on the market like line black steel pipe, standard black steel pipe, plumbing tubes and structural black steel pipe. Galvanization is an effective and common way to prevent corrosion, prolong working life and increase the number of usages, especially useful for pipes that transport liquid or buried underground. There is one kind of pipe call corrugated black steel pipe. It has a rippled texture and is often galvanized to resist rust and corrosion. It is especially used for underground sewer and water lines. They can be made in almost any length, from less than one inch to over five feet. They can be made in various thicknesses; it's totally up to your demand. Their shapes are also convertible. They can be fabricated into circular, straight edges or even square shapes, this also better increasing their practical usage. Black steel pipe's versatility can be attributed to its many benefits. They are easily welded or otherwise revised directly at their work place. They are flexible; they would not break under high pressure. This is the overriding benefit of black steel pipe. They have high strength and can resist intense pressure. They bend instead of crack under such force which can reduce the danger in construction. You cannot image how strong and durable from their appearances and it even don't need much maintenance after many years of use. The stainless steel and galvanized skin make them stand up against rust and chemical interaction. 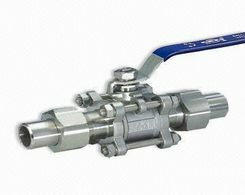 Therefore, steep pipe still maintain its market and active demand over the years. The welded steel pipe and API steel pipe are also available.